Officer Perry of Seekonk, Mass., moved thousands of hearts when photos of his recent visit to a local Wal-Mart went viral. As Massachusetts braces itself for another round of heavy snow, one small-town cop is making sure that his residents stay warm and dry even if they have no home to hide in. Officer Perry of the Seekonk Police Department responded to a distress call on Feb. 7 and discovered a woman in need of assistance. 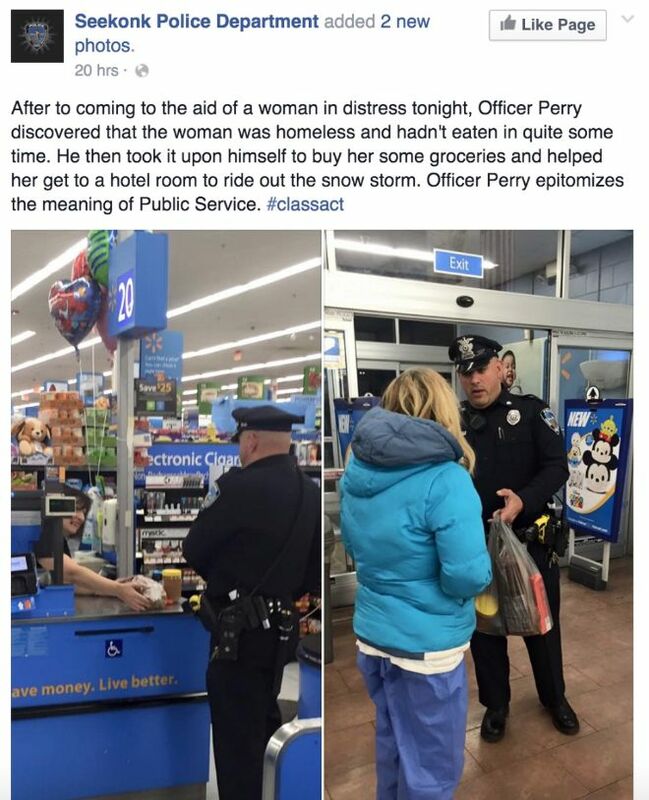 The department's Facebook page posted about their encounter, including photos of Perry purchasing groceries for the homeless woman and securing a hotel room for her. 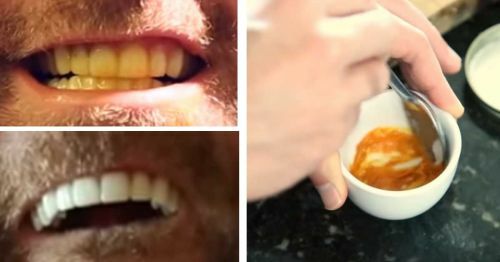 The response to the post has been huge, with over 33,000 likes acquired in just 24 hours. CBS News picked up the story and reports thousands of shares. Commentary responses are generally positive, many expressing appreciation for an uplifting news story about a police officer. Several others praise Perry, sometimes relating stories about his other acts of kindness and community service: "He used to come and read to my class! He reads the best Grinch story ever!" and "He is the nicest! My son waved to him once as he drove by. 5 min later he came back because he wanted to meet the little guy waving to him" are just a few of the stories being told. With a 2016 blizzard warning centered on the Seekonk area with up to 18 inches of snow expected, the officer's actions helped ensure that at least one woman had a meal and a place to wait out the storm. Kindness and community service, above and beyond the call of duty.